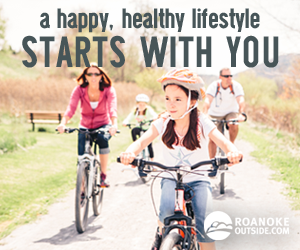 One of the goals of the Roanoke Outside Foundation is to get more people living a healthy active lifestyle centered around the outdoors. 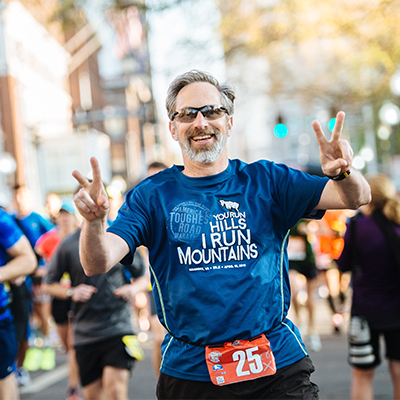 One way we do this is by making it easy for people to access to the outdoors, whether it’s through an outfitter, trail maps, events, or as simple as creating access in locations where it did not exist. We are making it a priority to increase accessibility to our rivers and lakes. Sure, they’re nice to look at but they are way more fun to paddle and fish. 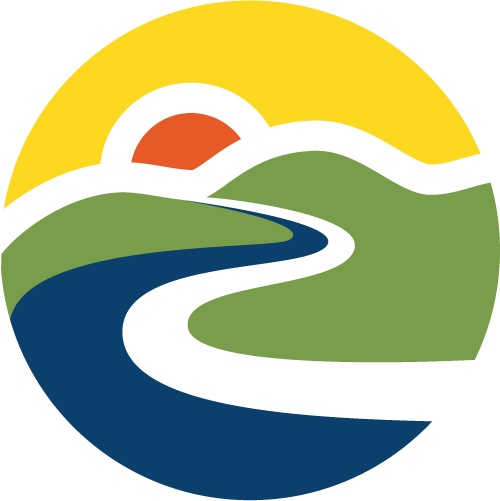 The region has seen a lot of positive movement toward more river and lake access and the Roanoke Outside Foundation is honored to contribute financial support to three regional projects on the Jackson River, James River, and Smith Mountain Lake. So far, we have donated $14,000 to river access projects. And that number keeps rising. Franklin County Parks and Recreation is often contacted by paddlers looking for more access points with easier entry into the water. 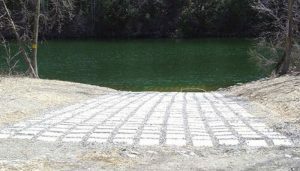 When water levels drop this winter, an articulating prefabricated interlocking concrete block ramp will be installed at Smith Mountain Lake Community Park. 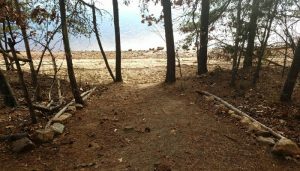 The park already has a sandy beach, hiking trails, and a raised dock for motor boats. This new boat launch will be specifically for kayaks, canoes, and SUPs. 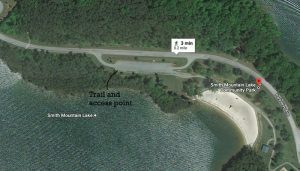 This lake access point will open in January 2019. Rivers and lakes are nothing new to the Alleghany Highlands. 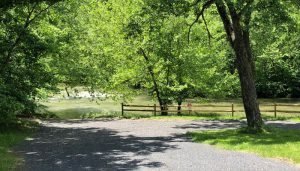 Adding access points in strategic locations to provide float options of varying distances, is a priority for Alleghany County Parks and Recreation. A new access point sandwiched between the Jackson River and the Jackson River Scenic Trail will create that access. 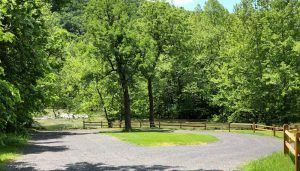 Plus, it’s next to the future home of Alleghany Outdoors – a full service river and bike outfitter that is expected to open in April 2019. The public river access can accommodate 30 vehicles and includes a concrete ramp into the river. 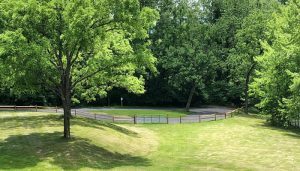 The river access point will open July 4. As the popularity of paddling and fishing on the James River has increased, so has wear and tear on the existing access point. The Gala access point in particular has been heavily impacted. Boat trailers getting stuck in the wet dirt has made getting in and out of the river less than ideal, but that will change later this fall when Botetourt County will install a concrete ramp into the water at this location.